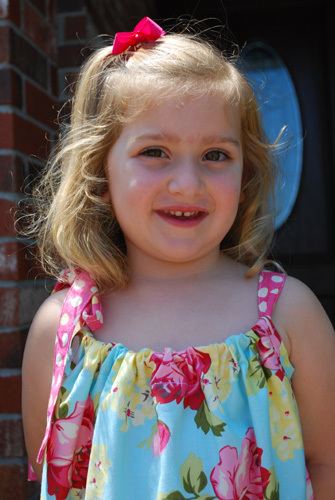 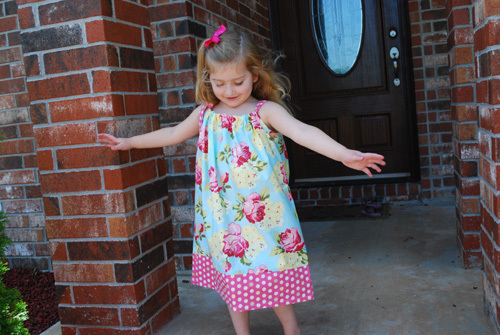 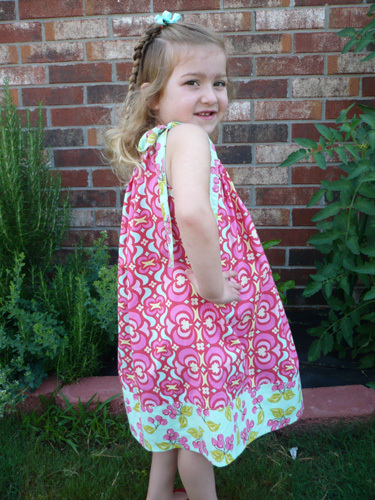 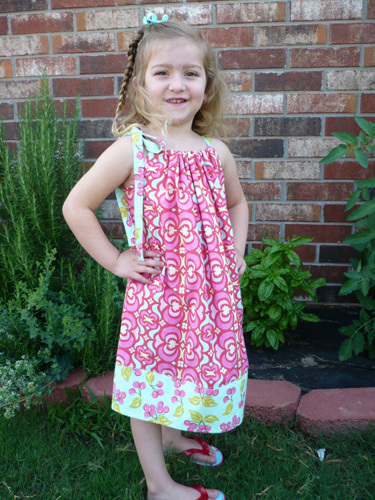 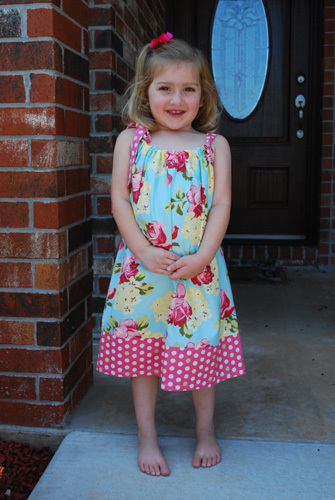 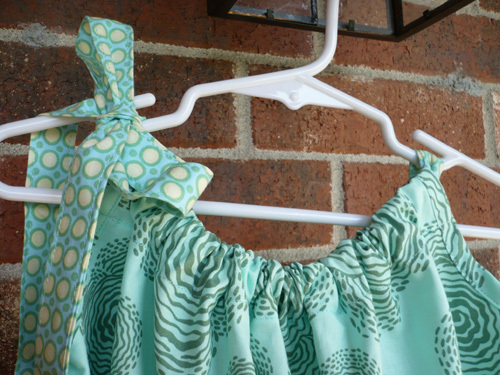 I bought the sweetest little girl dress pattern from Frog Legs and Ponytails called the Caroline Dress. 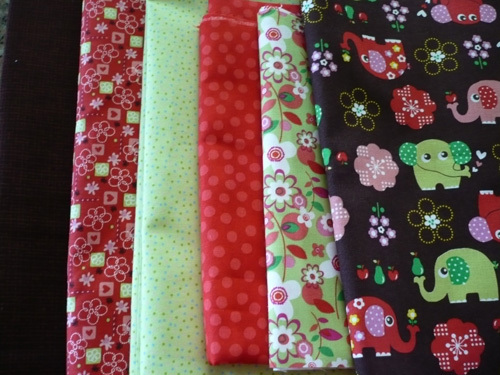 Last weekend my mom came to visit, and I took the opportunity to get some sewing lessons from her. 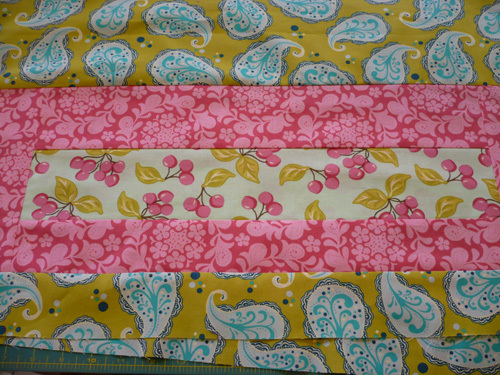 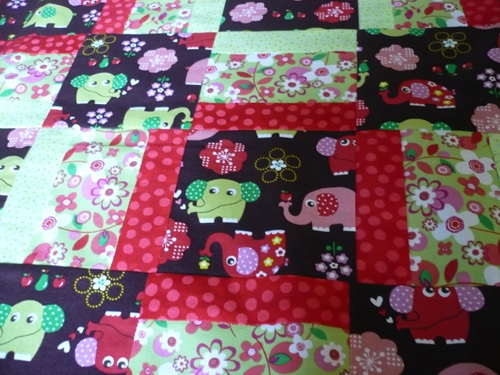 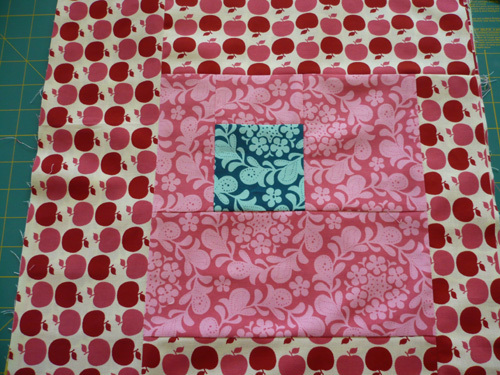 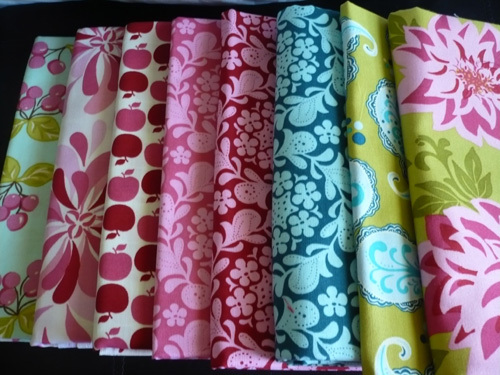 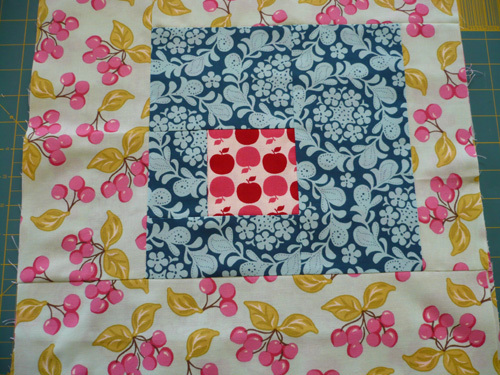 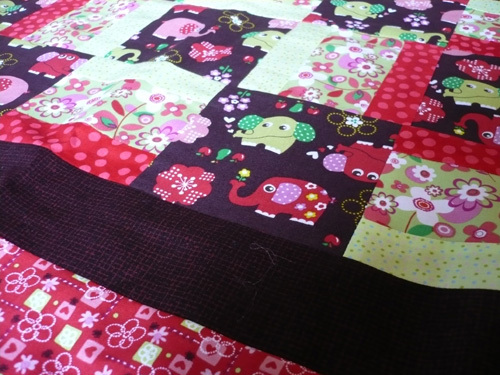 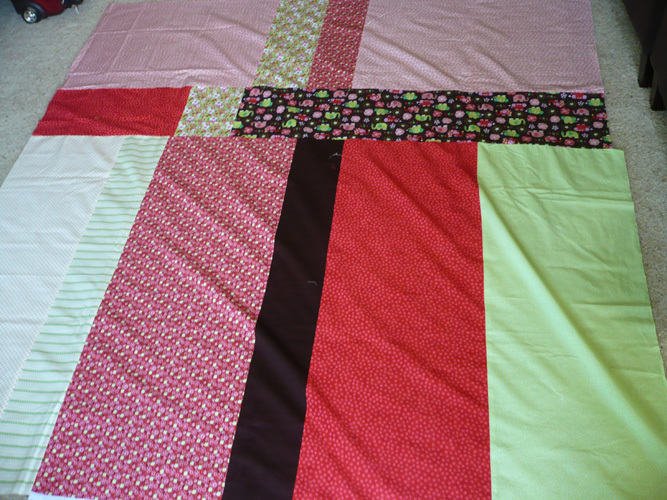 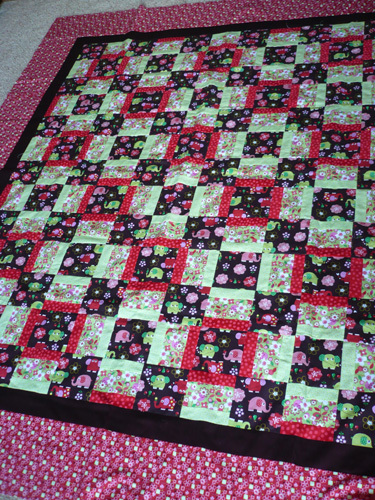 My mom is a great sewer, and to be honest, I don’t have the patience for garment sewing…I much prefer quilting. 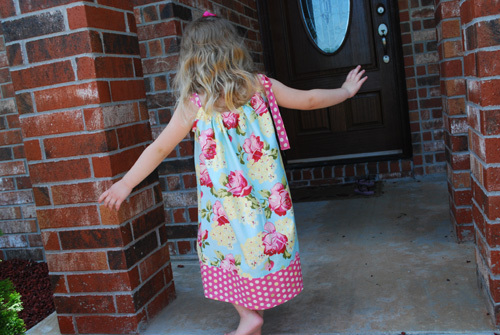 Anyway, with my confidence growing I was determined to complete this dress to prove to myself that I indeed can sew a garment. 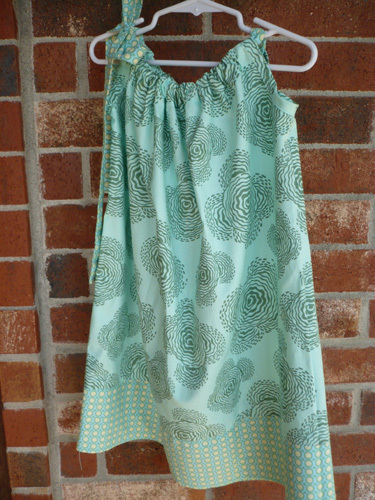 While Steve slept in for Father’s Day, I decided that this morning would be the morning I would attempt to make this dress–all by myself. 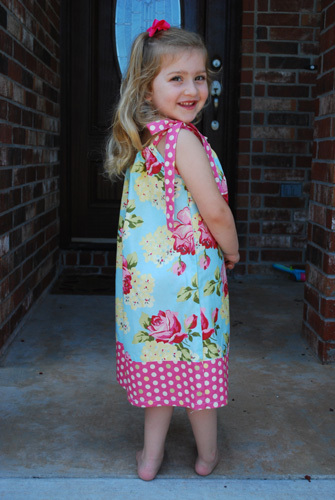 Three hours later, much to the delight of my little princess Ellie, I actually completed this dress, and I think it looks awesome!!! 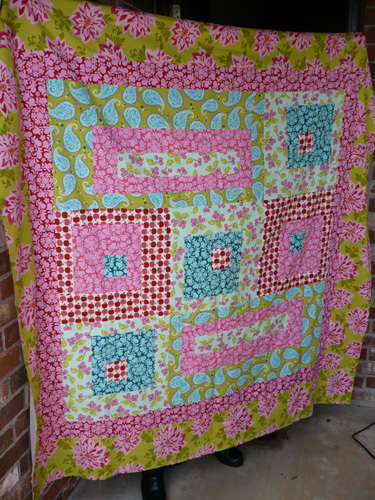 I hope I made my mom proud!